I am writing this entry form the Starbucks in Matsue. The same place that was my refuge in the first two weeks I spent living in rural Japan. I was sent here for training in late August of 2013. Now, I am back, eating at my favorite restaurants, visiting my favorite cafes, and enjoying the city for a second time. I feel the same passionate feeling I recall from last year’s Indian summer. So many sweet evenings in Matsue’s luminously dark nights, walking along the lake towards Starbucks. When I arrived here in August I enjoyed many warm nights, I walked safely along the dark streets, protected from all but my own heart. Wrapping myself in Toni Morrison seductive words and letting myself slowly absorb the new country that was to be my home for the next year. There was so much life to live back then. So many discoveries to make. Now I am drinking my latte, amusing myself with the thought of being back here, in the place that holds so many good memories. I knew I was living in a pleasant memory. And to think, I can actually order the same drink as I did back in August. I thought I would never have the chance to experience something so pleasant again, and yet, this night has brought be just as much joy as that time. Perhaps I am still steeping in the sweetness of nostalgia. Or perhaps there is something authentically lovely about Matsue. Last night I went for run around the lake. When I pass over the bridge and peer into the navy waters, I am able to see the ghostly figures of jelly fish in the waters. As I walk along the streets, spotting the historic wall murals, and jogging along the edges of canals, everything is the same, everything is different. I am not coming this time. I am going. After a year of living in Shimane, I leave in two days. This was a year on enormous gains for me. I did things that I never knew were possible for me. While I enjoyed a sedentary lifestyle in the United States, I began running in Japan. By October, just two months after I arrived, I was able to run 10K in a marathonat an obscure airport in rural Japan. In May I walked over 60K in three daysacross four remote islands in Shimane. With the assistance of some very amazing people, I participated I the third annual TokyoRainbow Parade. After getting the idea to start a website, in Japanese, dedicated to providing information on queer literature from overseas, I was finally able to lunch it in July just before leaving. This year I also saw major progress in traveling. I had the chance to visit some great cities that have sat on my bucket list for too long. Among them are Nagasaki, Kobe, Sapporo, and Okayama. I also had the chance to rediscover some places I had been before. I experienced fun and friendship in Fukuoka, and fell in love with Kyoto, which was once my least-favorite place in Japan. Lastly, I completed my long-time goal of reaching the most northern point in Japan, located in the strangely quaint town of Wakkanai. My life in rural Japan has forever changed my perspective on Japan as a country. I know it to be a more diverse and complex place that I ever thought. I now have two vivid images of urban and rural Japan, which could not be more different from one another, and yet I must reconcile them into one country. 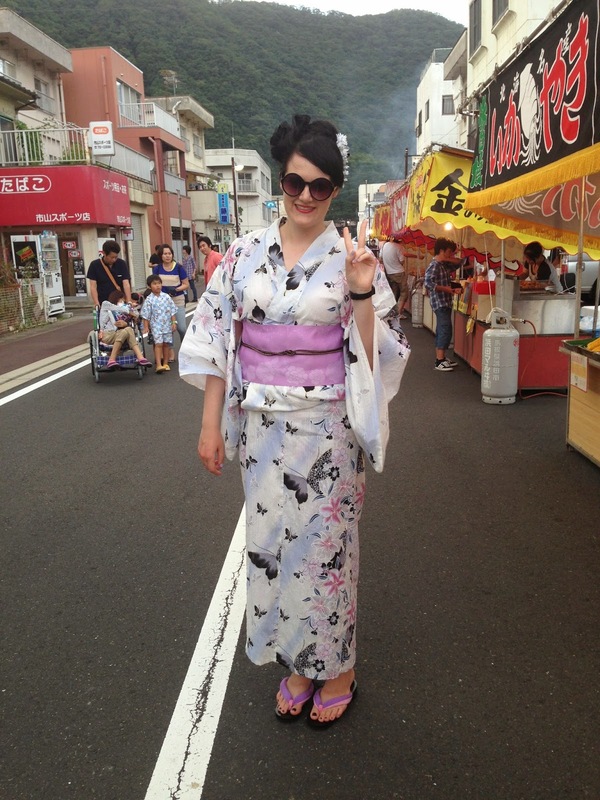 This year I celebrated my birthday in Japan, for the second time in my life. The first time was my 15th birthday, where I stood atop the Ushiku Daibutsu and wished to return to this amazing country. My second birthday fell on Enna Matsuri, my village’s local festival. 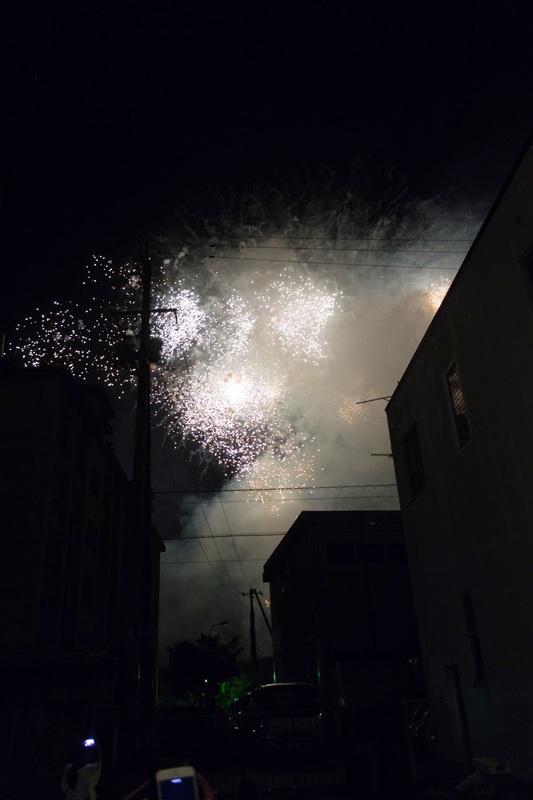 When I arrived last year in August I celebrated Obon, a night of dancing which culminated in a fireworks show. Fireworks also concluded the end of my year in Japan, and as I watched the show from the river, I thought there was no better way to celebrate my birthday.